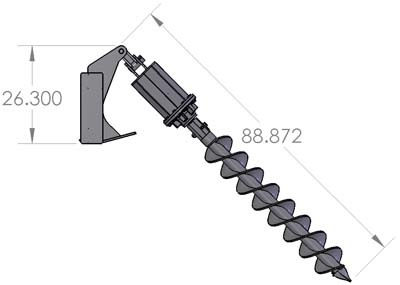 LF Augers are designed for heavy-duty use in commercial and industrial applications. Our units are constructed of ½” laser cut steel. Hydraulic drive motor and Auburn planetary gears power through the hardest ground. No chains or gearboxes. These drive units have 2” hex output shafts. Bits are available from 4” to 48”. Bits sold separately.